This storage bag can perfectly accommodate your plush toys with its large large capacity. choose freely according to the number of plush toys at home. 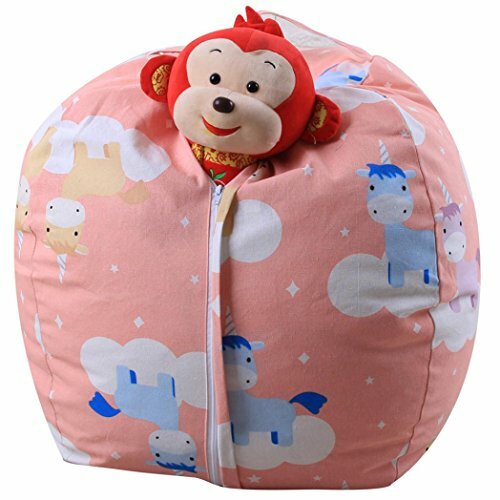 It can act as cushion when filled with plush toys, clothing, blankets, etc., for children to enjoy the storage process. 1. Please allow 1-2cm differs due to manual measurement. 2. Real color may slightly different from pictures due to computer screen's resolution, brightness, contrast etc. 100% brand new and high quality. During the new store promotion period, all product prices are at cost, and it is definitely worth buying. The logistics time is usually 15 to 25 days. If you need urgently, please contact us to change the logistics. You may incur additional charges. If you have not received your product after 35 days, please contact us. If you receive broken products, please contact us and attach some pictures about product, we will exchange a new correct item to you after the confirmation. If you have any questions about this product by MOKO-PP, contact us by completing and submitting the form below. If you are looking for a specif part number, please include it with your message.